Do you recognise yourself or anyone in this photo? This page was added on 20/12/2012. Back row from right. Roy Darlison/Eddie Harsant/John(Bomber)Wells/Ivan JUDD/Rob Wilkinson/Dion Hewitson/Roger Wade/Robin Framingham/Keith Perry/Paul Brenham/?/?/Derek Clark/Maurice Dowton/Ian Delozey?. Second row from front behind cubs. 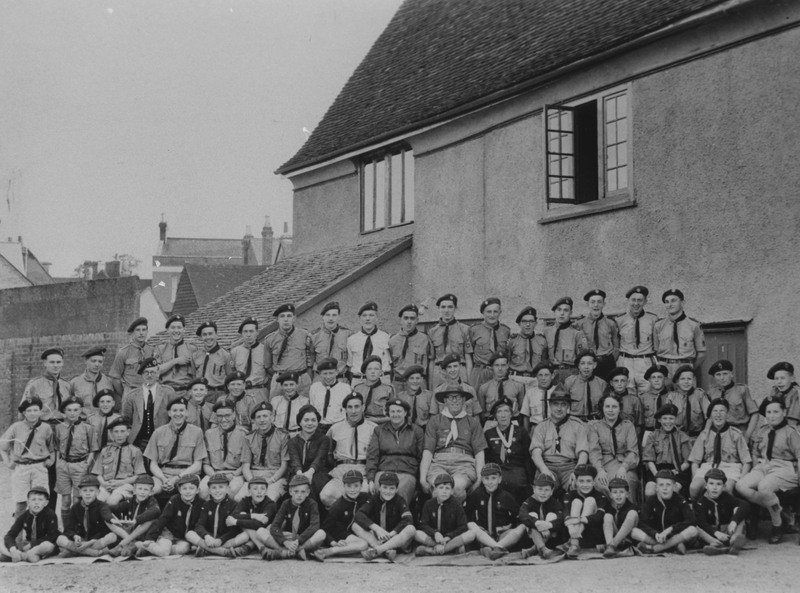 Jack Taylor with scout hat on, sitting on his hands.Mrs Warren in dark jumper next to Jack Taylor and she is next to Group Leader Mr Harold Warren also with scout hat on, then Betty Smith? (Cubs) . To Jack Taylor’s left is Beryl Suckling wearing anorak and beret, Cub leader.